​​​​​​​​​​​​​​​​​​​​​​​​​​​​Issuing a certificate on the contents of documents presented is at the discretion of the Embassy of Finland. Such certificates are subject to a fee (List of service fees), unless otherwise provided for in the Decree of the Ministry for Foreign Affairs on Fees for Services. A multi-lingual Marriage Non-Impediment Certificate from Finland, issued by a local registry office or a parish (i.e. a certificate of capacity under Finnish law to contract a marriage before a foreign authority). An up-to-date and reliable certificate of income originally issued in English (from your employer, your pension insurance company, your accountant, or another relevant source). A recommendation for the intended marriage, signed by two Finnish citizens of age who live in Finland. The recommendation must state the names and addresses of the recommending persons, and the names of the parties to the recommended marriage. The letter of recommendation may be informal and drawn up in Finnish, Swedish or English. It must be dated and signed. The address and occupational information as declared by the person concerned. The name of the local registry office (district office) where the marriage will be officiated, as declared by the applicant. All documents must be presented in original. The Thai party has to present his or her passport or identity card at the Embassy of Finland. If both parties are Finnish citizens, both of them must present all the above documents. Once you have filled in the form for marriage notification, the Finnish Embassy will authenticate your signature with it. These document requirements imposed by the authorities are subject to change. Always consult the competent authorities to check which documents are needed. The Embassy of Finland may issue a certificate on a person’s income on the basis of a reliable and up-to-date salary certificate or a pension certificate issued by a pension insurance company in English. The Embassy is not in a position to contact the issuer to verify the accuracy of the declared income or whether the issuer is entitled to give such certificates. When applying for a residence visa for Thailand, the applicant is always responsible for the accuracy of the information presented to the competent authority. 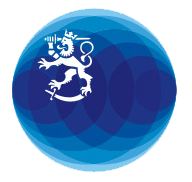 The Embassy of Finland cannot issue certificates on the legal validity or, for example, the legal significance of facts. Upon request, the Embassy will issue a certificate on the issuance of a new passport attesting that, on the basis of the entry made in the passport, its holder was a Finnish citizen at the time of issuance. This certificate is free of charge. The Embassy often receives requests for a certificate on de facto circumstances, even though the host country authorities would be best placed to issue such certificates. Please always address the competent local authority. For example, a residence certificate will be issued by the Thai Immigration Bureau.